A boot cuff crochet pattern that works up in less than an hour! 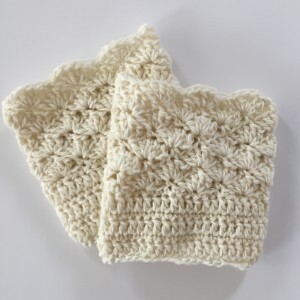 These boot cuffs are super easy and quick to crochet. Then you’ll have to decide if you’re keeping them for yourself and the cold weather or giving as a gift. Boot cuffs are warm, fun and quite fashionable! They keep your legs warm by filling that gap between your jeans/tights/leggings and boots. Stylish with a skirt or dress too! They are approximately 4.75 inches tall (shorter for child size). 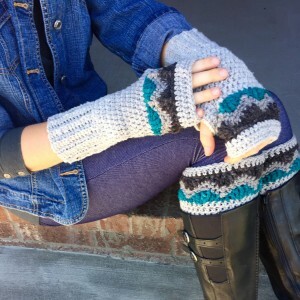 Circumference is 13 inches and will stretch 1-2 inches beyond that comfortably if needed.Instructions include how to increase or decrease size of finished boot cuffs. Beginner – you just a little crochet experience.